Learn music theory at your own pace for free! 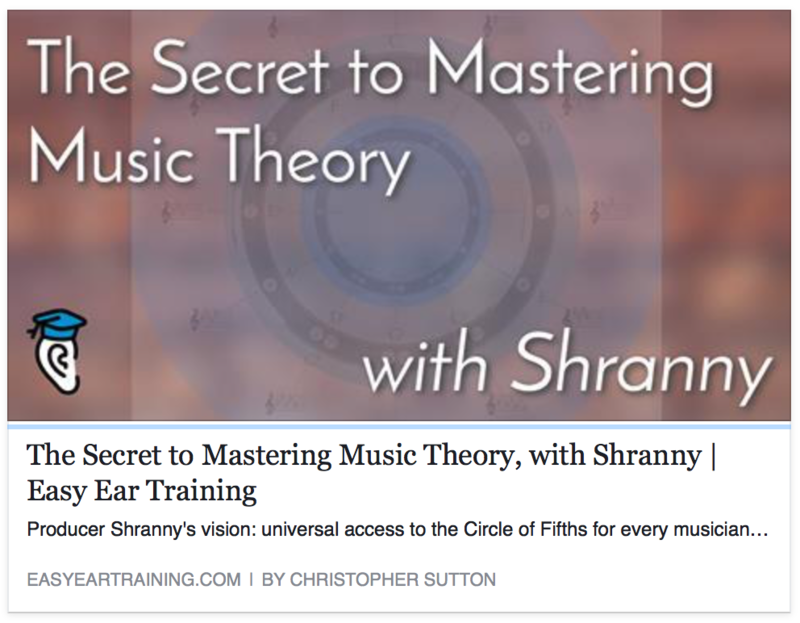 2019 and finally the launch of the new Music Theory Lessons website. Welcome! Lesson 1.0 The Diatonic Scale. The Diatonic scale is a system used in western music to organise the seven notes in a scale. There are many names for scales, The Major Scale, The Minor Scale, The Pentatonic Scale, The Blues Scale, The Chromatic Scale and some more. They all are Diatonic Scales. Lesson 1.1 The Major Scale. Lesson 1.2 The Minor Scale. Lesson 1.3 The Pentatonic Scale. Lesson 1.4 The Blues Scale. Lesson 1.5 The Chromatic Scale. Lesson 2.0 The Circle of Fifths. 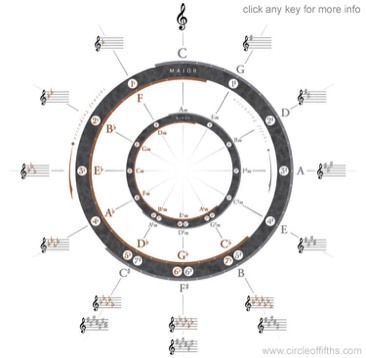 The Circle of Fifths is a music theory diagram that shows the Key Signature of a scale built on any step of the Chromatic Scale. The Circle of Fifths also shows the Keys that share the most common frequencys and there for are the most harmonic Diatonicly for Key changes and Chord changes. Lesson 2.0 The Key Signature. Lesson 2.1 Identifieng a Key Signature on the Circle of Fifths. Lesson 2.3 Memorizing the Circle of Fifths. Lesson 2.4 Memorizing The order of Sharps and Flats. Lesson 2.5 Key changes and Chord changes. Diatonic Harmony the foundation of western music. The Diatonic Harmony chart shows a basic note or chord progression that takes mins to learn and is worth a lifetime of joy. Lesson 3.1 The Diatonic Harmony Chart. Diatonic Modes. 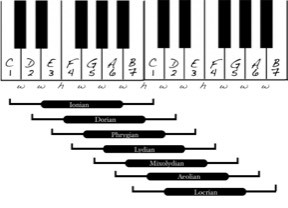 There are seven Diatonic Modes in a scale and they are Ionian, Dorian, Phrygian, Lydian, Mixolydian, Aeolian and Locrian. Lesson 5.0 The Pentatonic Scale. The Pentatonic Set. There are 7 tones in a Major Scale and some scales like the Pentatonic Set only use 5 of those tones. Transposing is very important if you need to change a song to a key that a singer can feel comfortable singing.